I have a delicious new scone recipe to share with you as well as a collection of 50, Yes Fifty, key lime recipes. 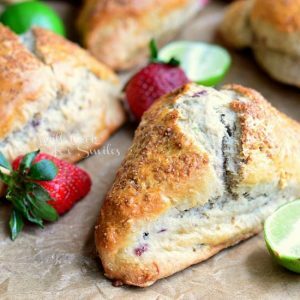 These Strawberry Key Lime Scones are perfect, they are soft in the middle, crunchy on the outside and full of strawberry and citrus flavor! Be sure to follow me on Instagram. You probably noticed how much I LOVE key lime recipes. I patiently wait every year for the key limes to arrive at the supermarket. This year I waited for too long. It has been a pretty bad year for key lime crops in Mexico, so key limes have been in short supply and much more expensive. I probably ran to the store every other day, for three weeks trying to get some. I finally got some and made these delicious scones. 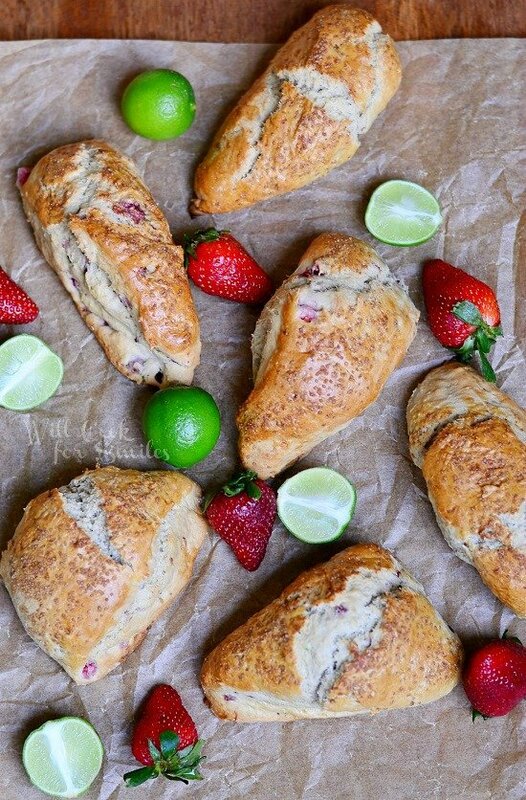 These Strawberry Key Lime Scones are perfect, they are soft in the middle, crunchy on the outside and full of strawberry and citrus flavor! Preheat the oven to 400 and line a baking sheet with parchment paper. Grease it lightly. Sift the flour, baking powder, baking soda and salt into the bowl of an electric mixer. Dice strawberries and set aside. Zest key limes and set aside. Chop cold butter into small slices and add to dry ingredients. Mix dry ingredients and butter until it looks like coarse crumbs. In a small bowl, whisk the eggs, vanilla, sugar and buttermilk together. Add the egg mixture to the flour mixture while mixing on low speed. Add diced strawberries and key lime zest. Still on low speed, mix until just combined. Take dough out onto a lightly floured surface. Knead the dough a few times (10-15 seconds), until smooth. Pat the dough into a circle that is about 1 1/2 inches thick in the center but thinner on the outer edge. Cut the circle like a pie, into 8 pieces. Transfer the slices of dough onto a baking sheet. Whisk egg white and water and brush the scones with the egg-wash.
Bake for about 18-22 minutes. Break one scone to make sure that it's done but still nice and soft in the middle. I also wanted to put together a collection of some wonderful key lime treats. 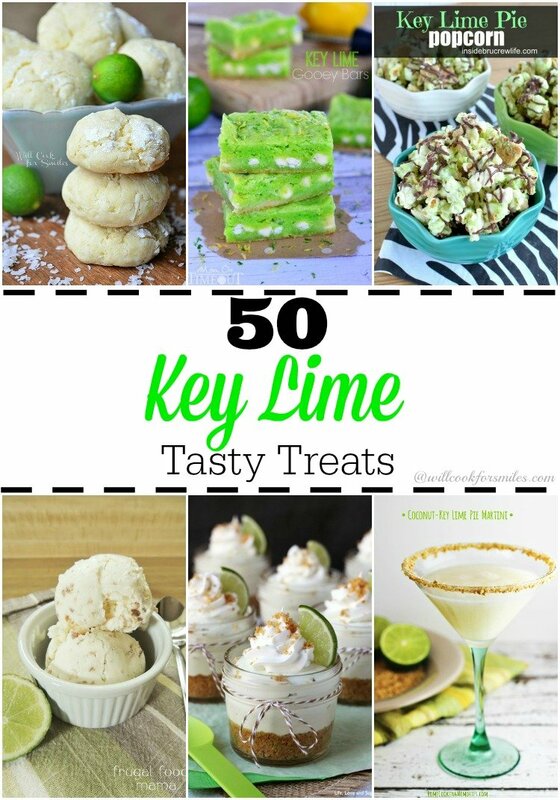 There are so many bloggers out there that have many delightful key lime recipes and I compiled fifty of the best ones! Note** If you are having trouble finding key limes, you can make many of these recipes using regular limes. 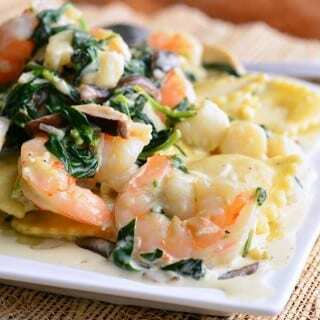 It’s not the same but it will be close enough for you to indulge in this deliciousness! 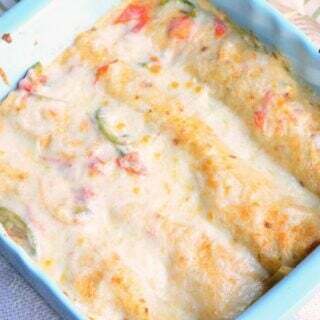 Click on each photo below to take you to the actual recipe. Pin recipes from their original site. OR Click image above to pin entire collection! The link to the 50 key lime recipes isn’t working. I love the taste of lime. In fact we had a huge lemon and lime tree that we raised from a little 12 inch plant. Anyway we have to bring our plants in for the winter — our trees didn’t make it this year. We would have fresh lemons and limes at the end of summer. It was great!! I haven’t tried scones — I’ll have to try my hand at it. Your recipe looks great. I hope you do try it, Marisa! Thank you! Thank you so much, Karen! Hope you enjoy everything! Hmmm…I’m getting a fever for some key lime desserts myself! 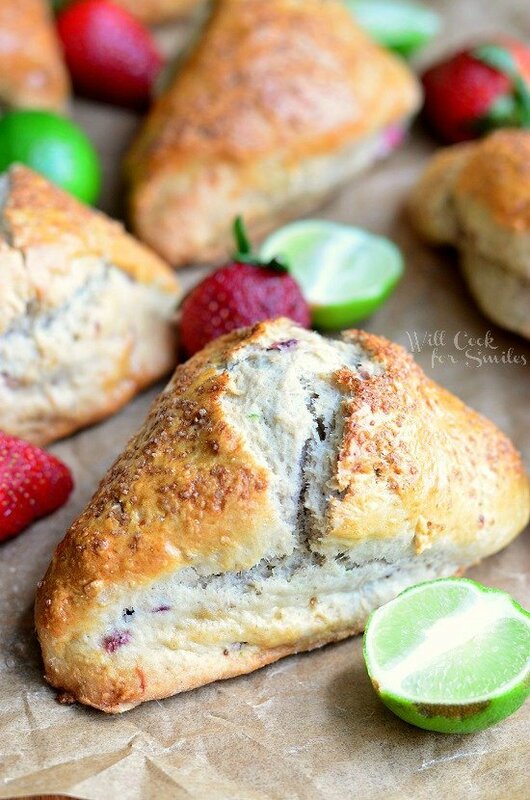 I usually think of scones as a breakfast food, but these just sound too tasty to leave for only the morning! I found your post through the Monday Funday link party. Snack all day long 😉 Thank you, Anne! What a fun list! I love lime. 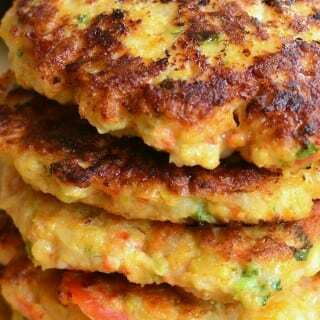 yum, yum, yum. And those scones. This is why I follow you. You never cease to impress. Key Lime HEAVEN!! I love the scones!! Thank you so much, Katerina! Isn’t the whole lime thing this year absolutely crazy?!! We don’t get key limes up here in NY in the normal grocery stores, but just your run-of-the-mill limes are like almost $1 each at this point! Nuts! These scones look amazing! Just like the ones my wife and I love to get in the city. 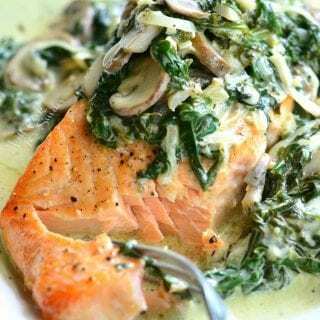 Plump, moist, and bursting with flavor! I am going to dream about those scones tonight! Beautiful! 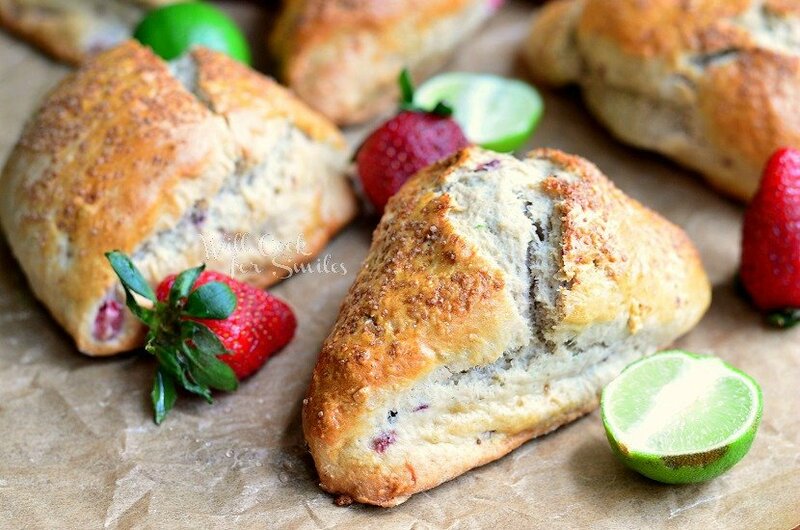 These scones are heavenly Lyuba as is this roundup – YUM! Thanks so much for including me 🙂 Pinned! I love little key limes. I’m going to pin this. Thank you for sharing! Oh my! 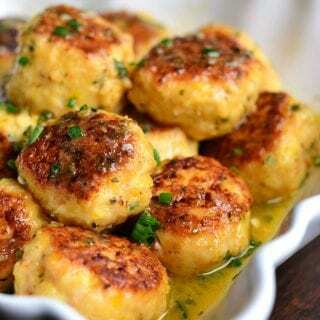 These look heavenly! 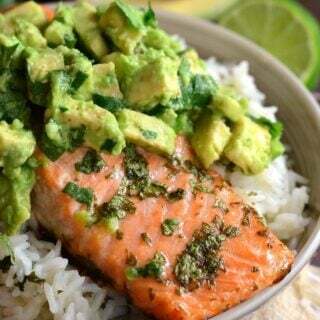 Pinning to my breakfast board!